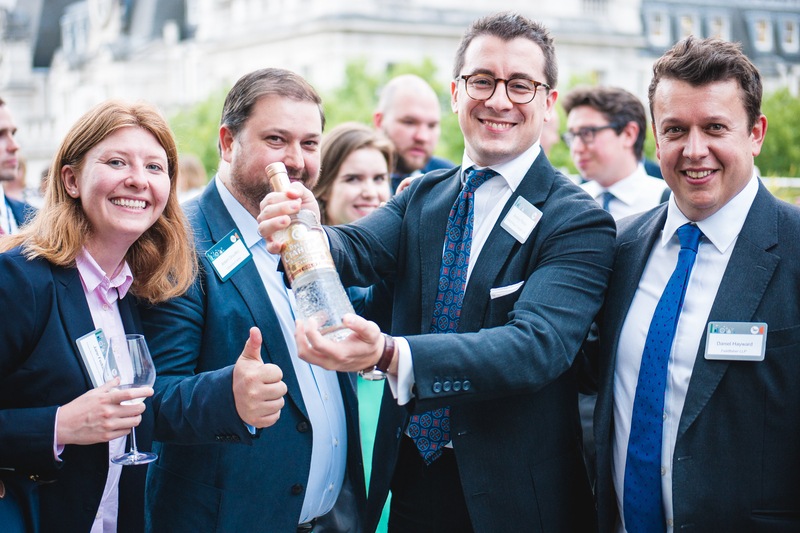 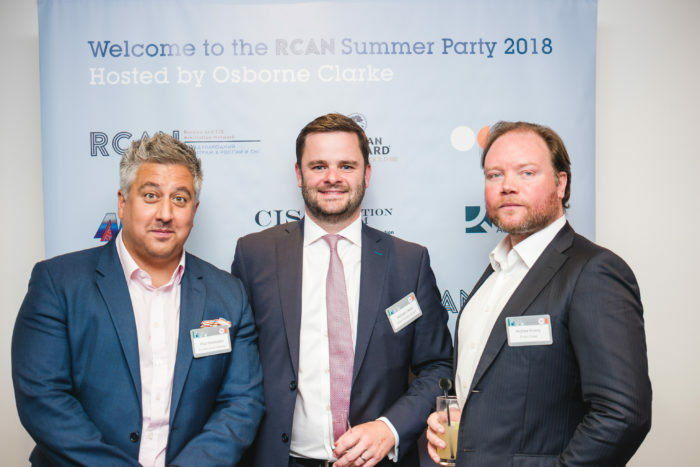 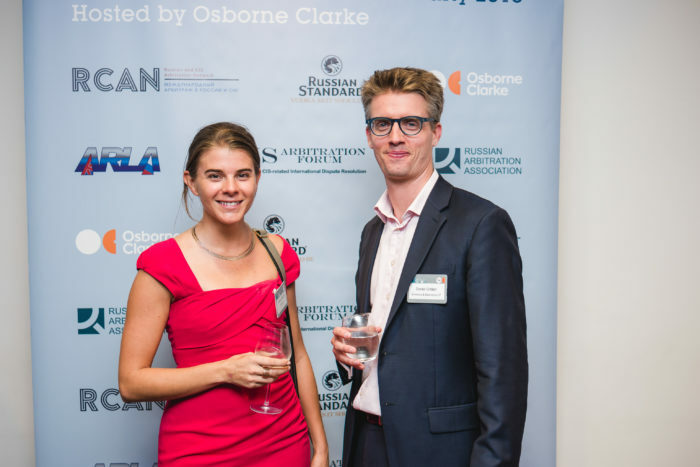 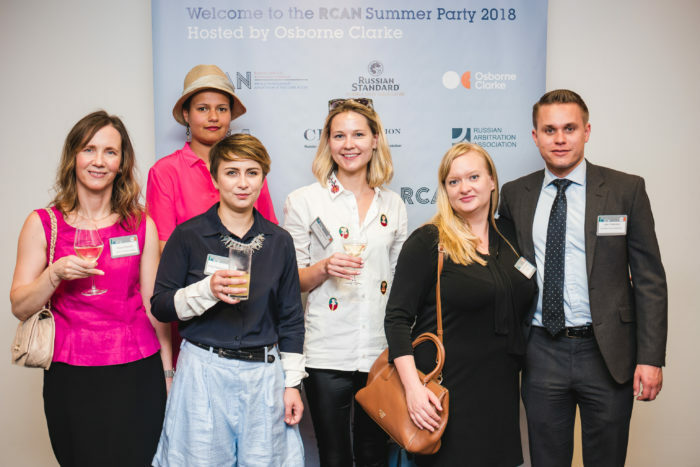 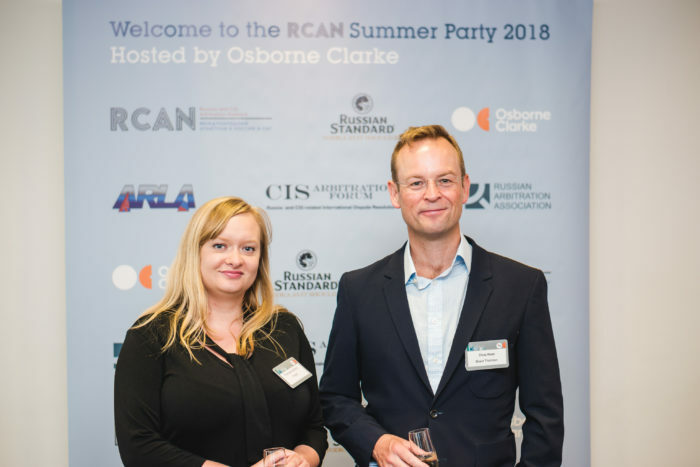 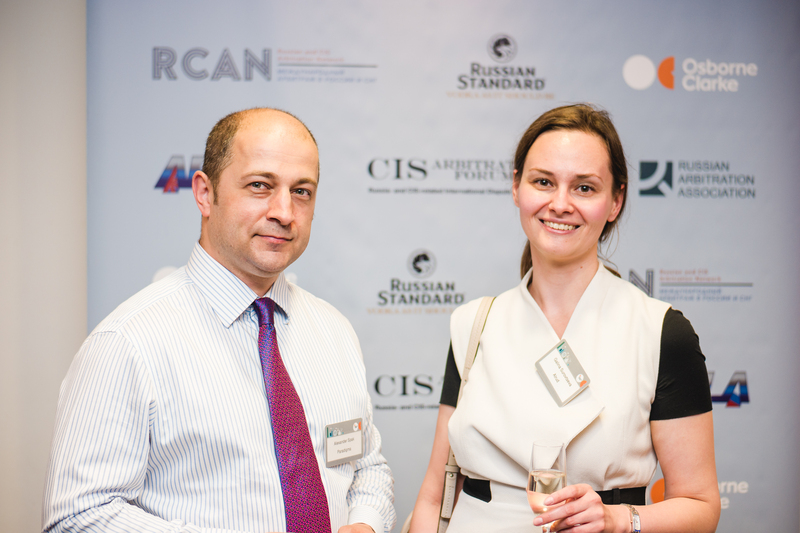 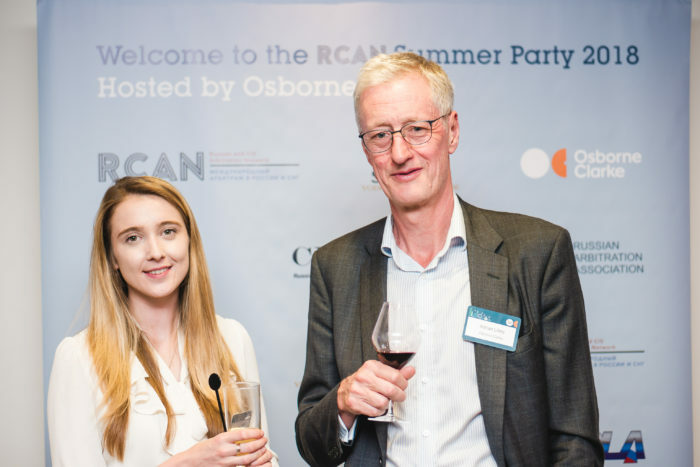 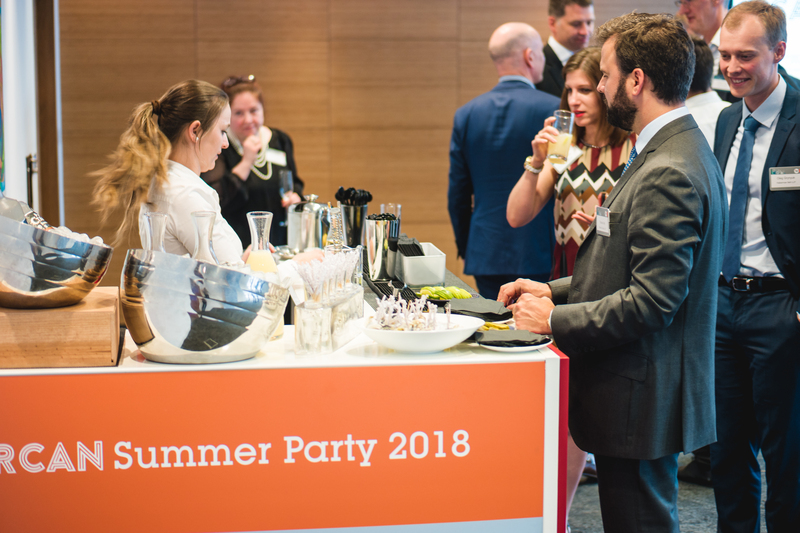 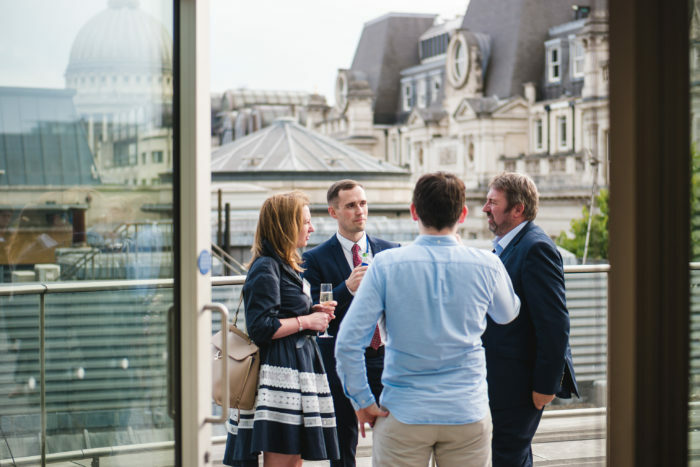 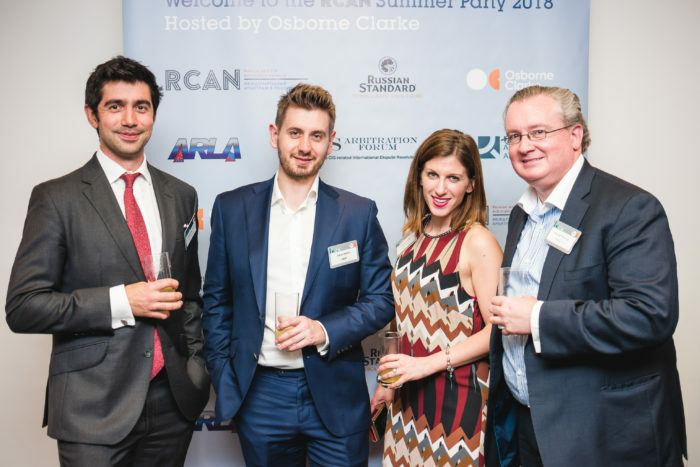 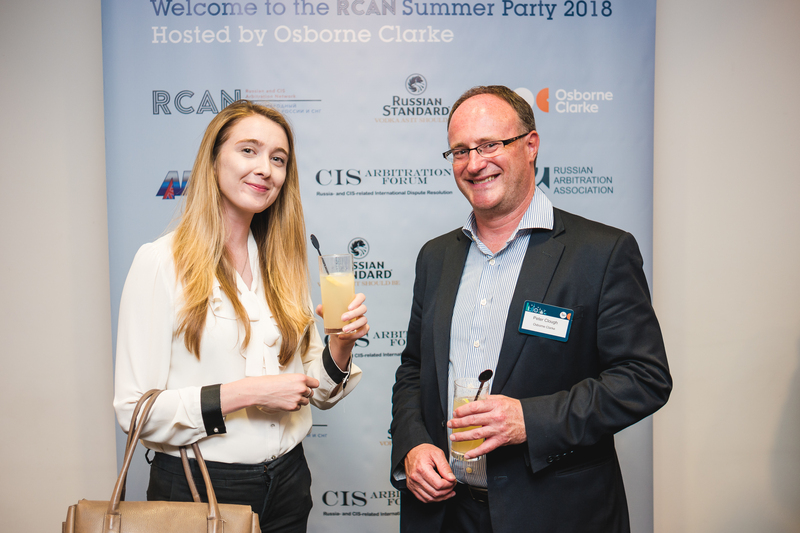 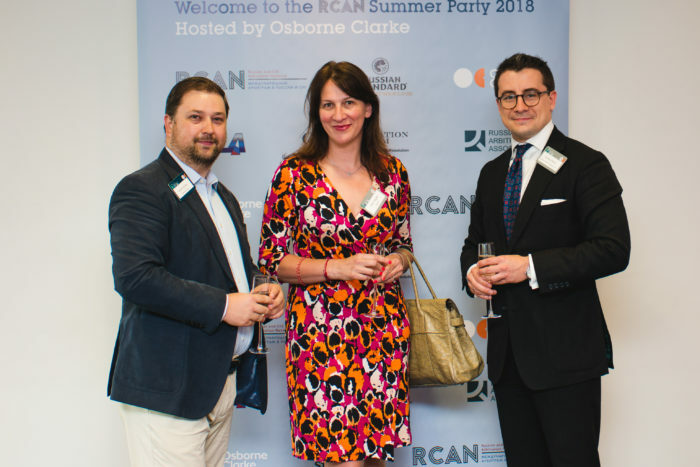 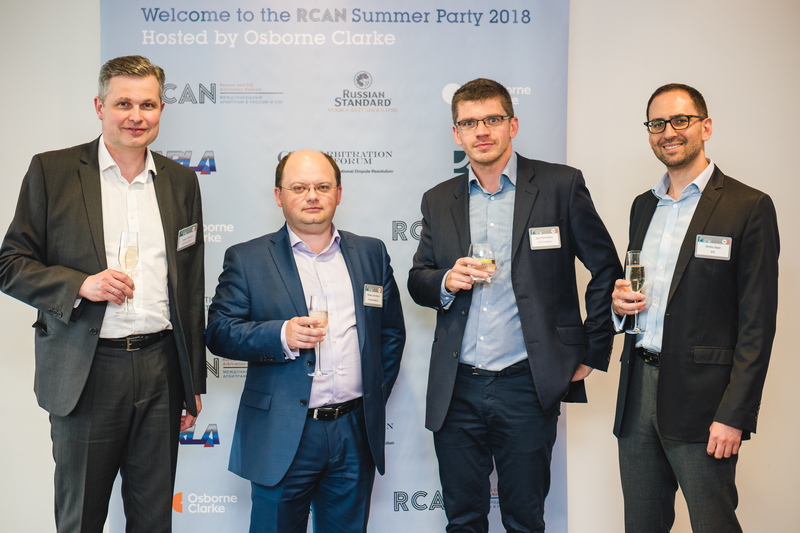 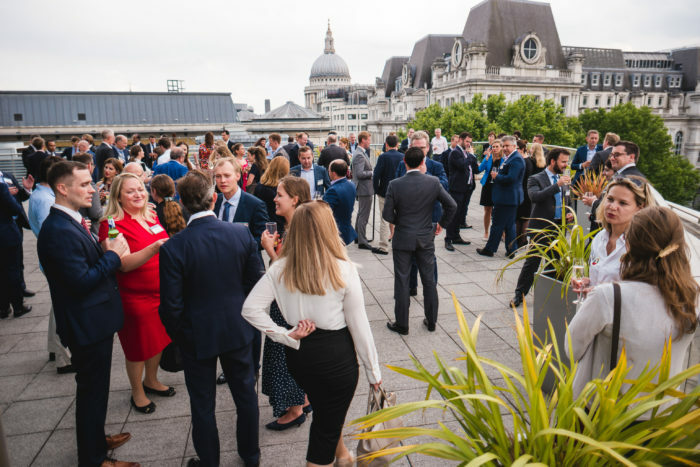 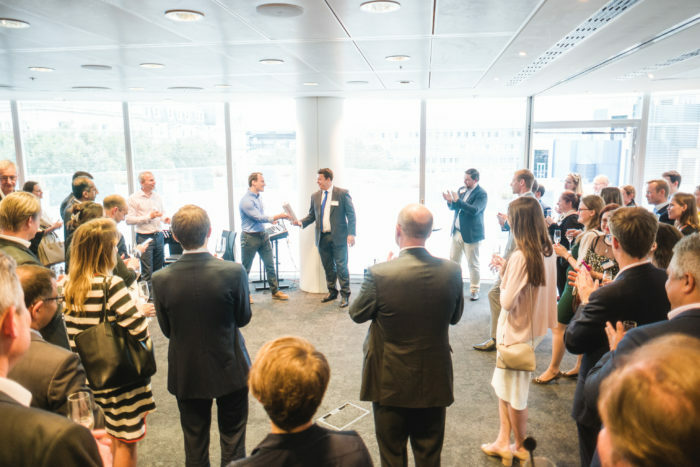 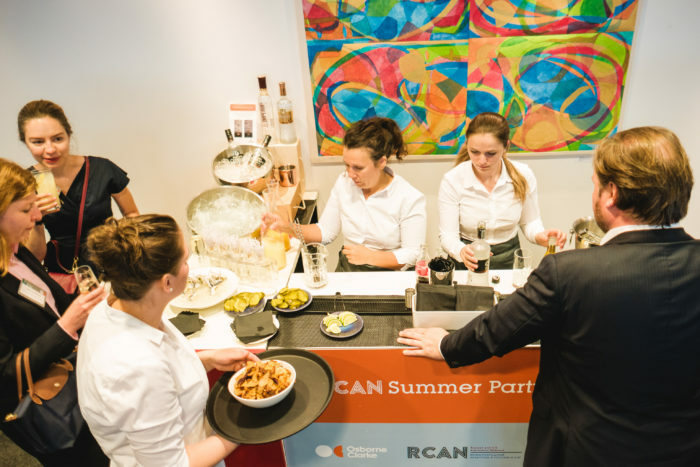 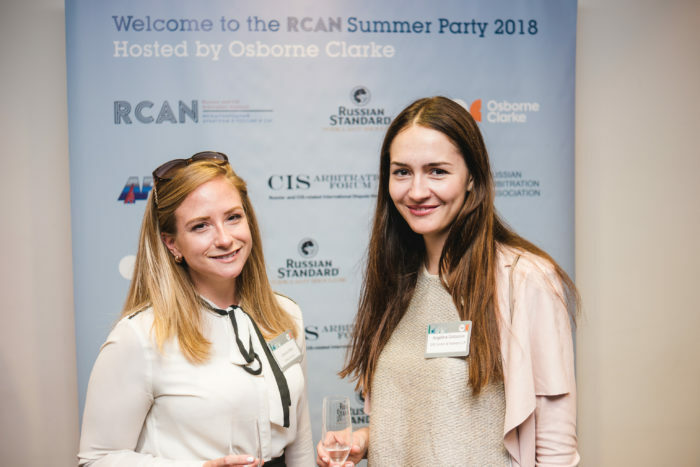 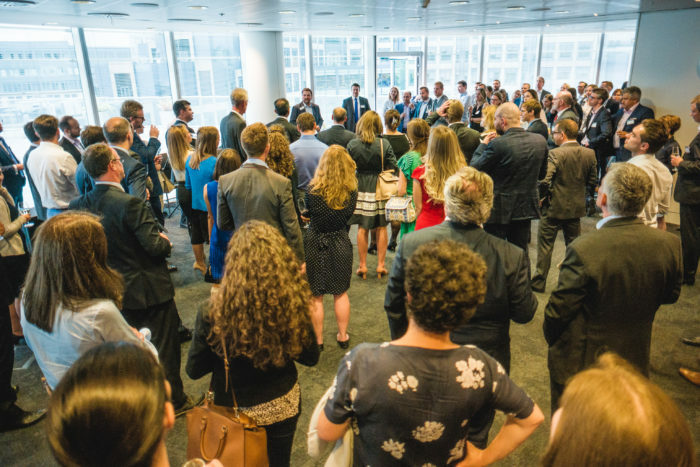 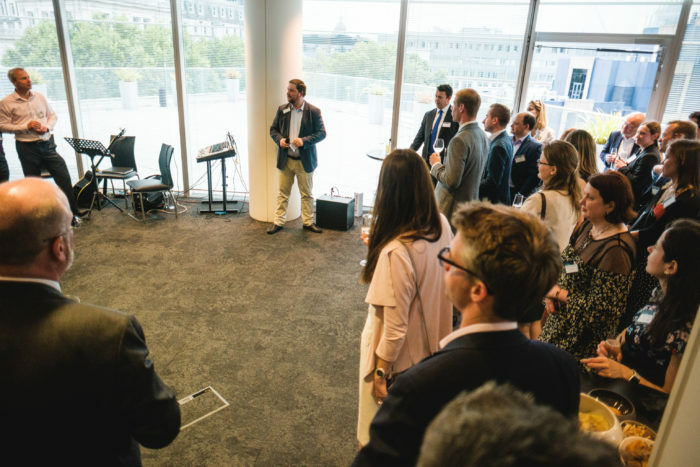 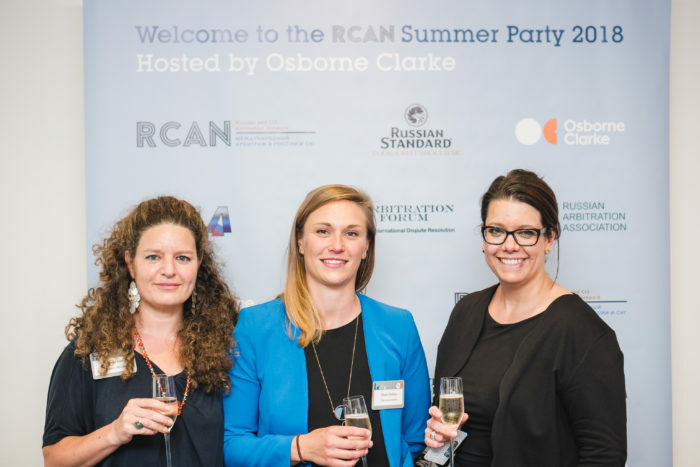 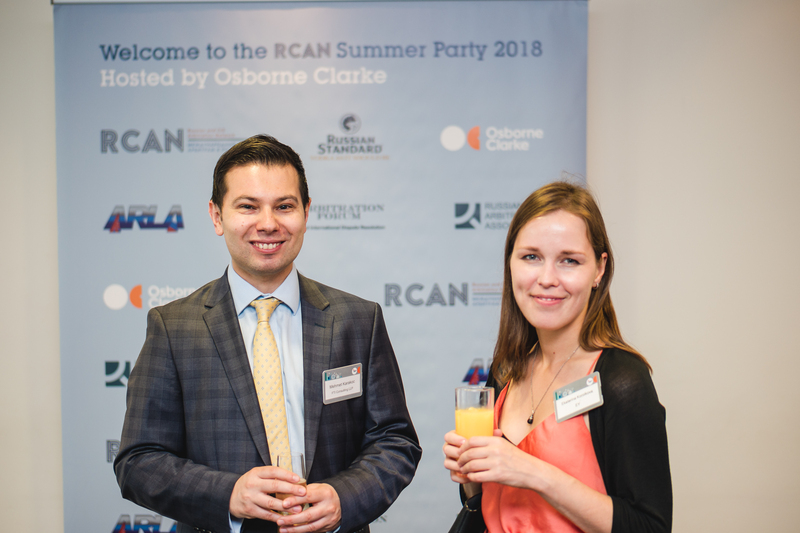 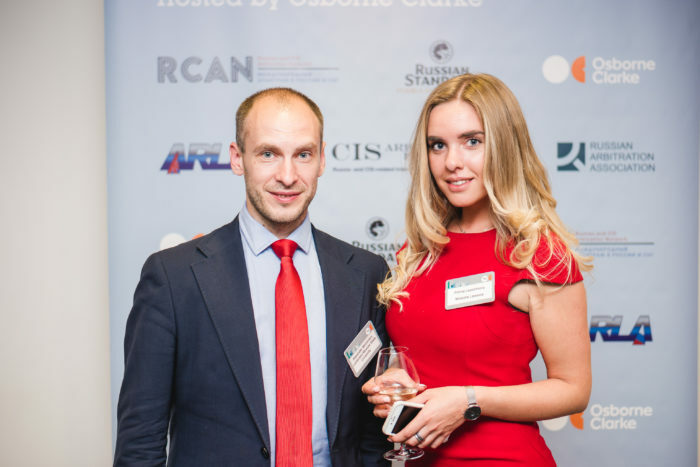 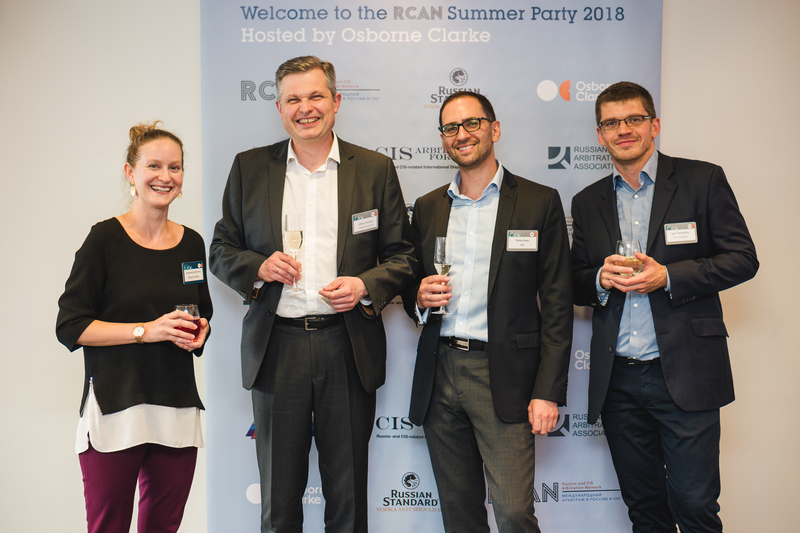 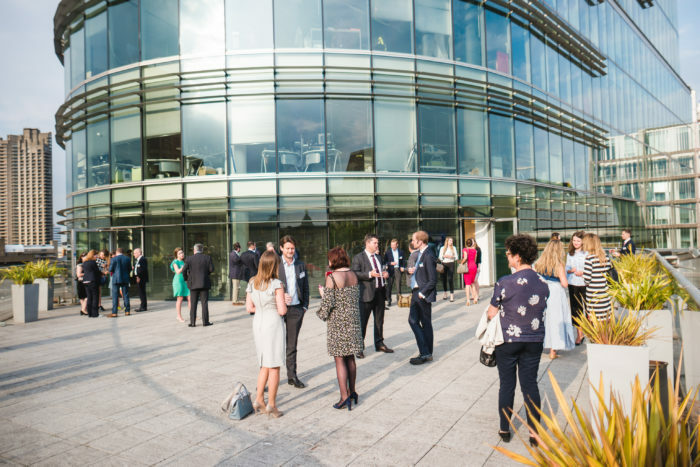 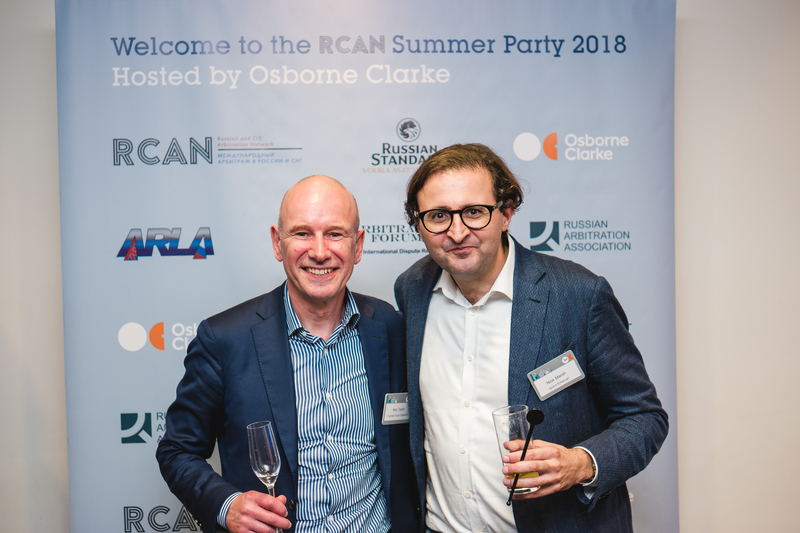 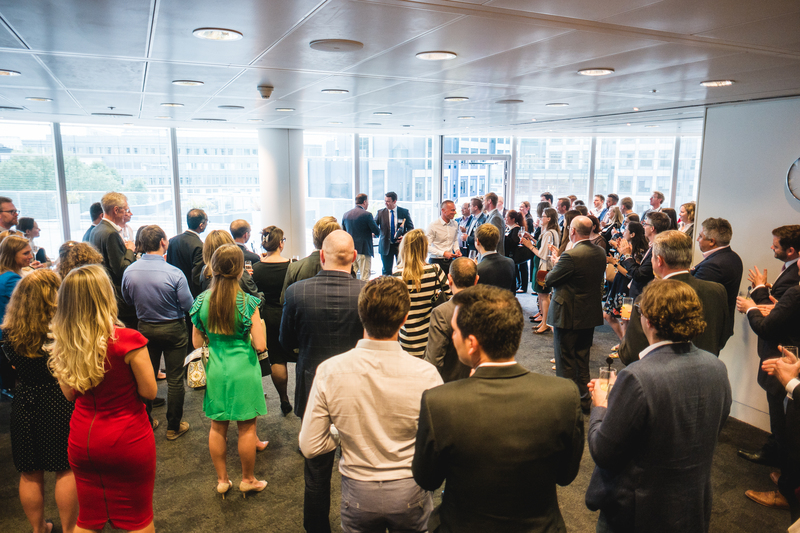 On Wednesday 4 July 2018, Osborne Clarke hosted the Russian and CIS Arbitration Network (“RCAN”) Summer Party at their London office. The event was supported by ARLA, the Russian Arbitration Association, and the CIS Arbitration Forum. 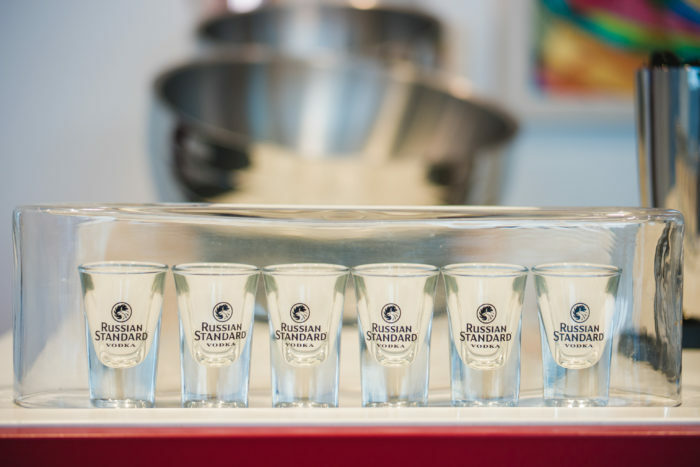 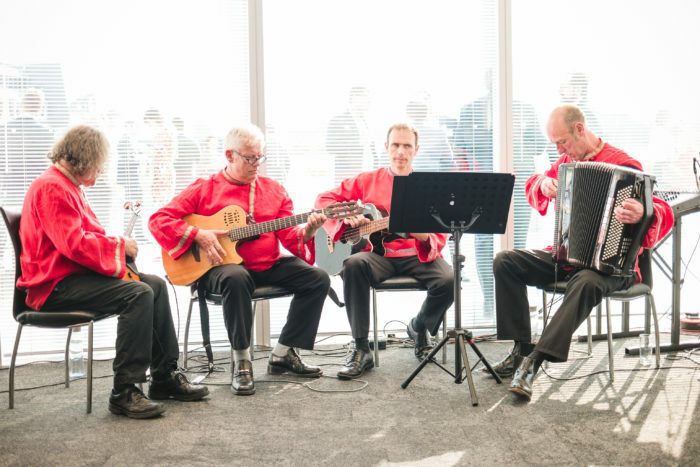 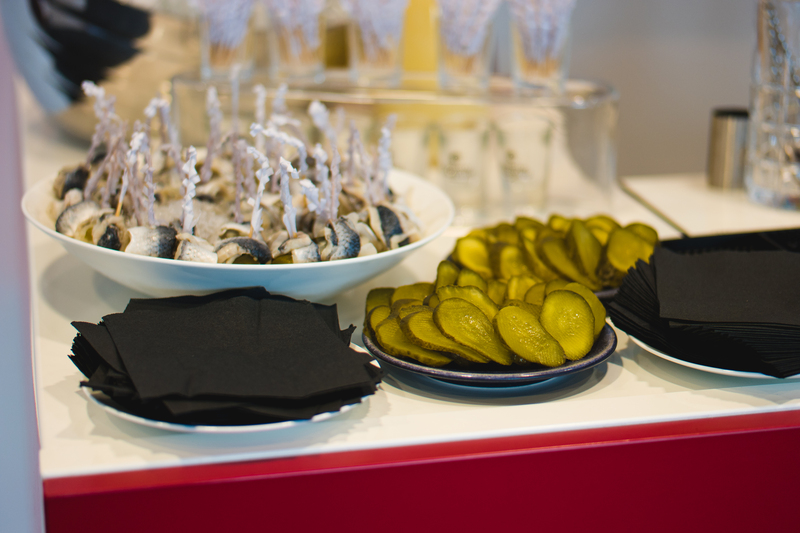 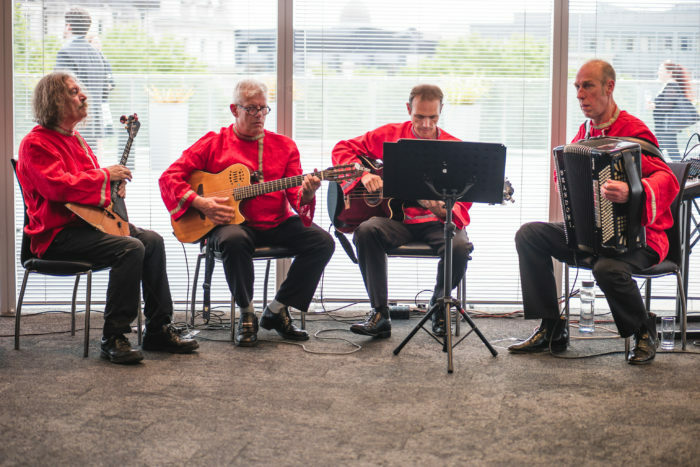 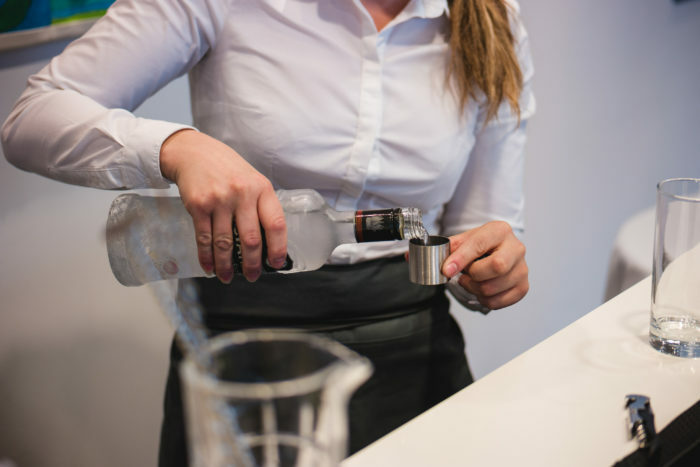 Guests enjoyed a Russian themed evening complete with traditional Russian music from London based band Balalaika, Russian canapés, and a vodka bar kindly supplied by Russian Standard. 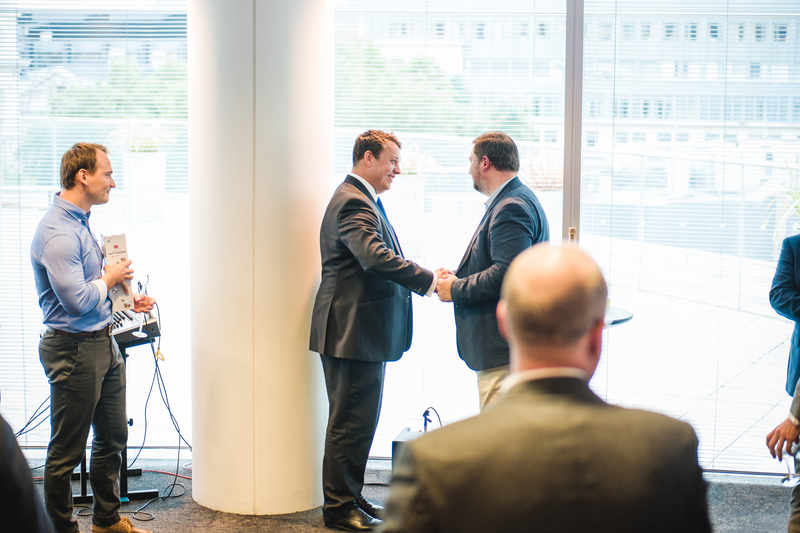 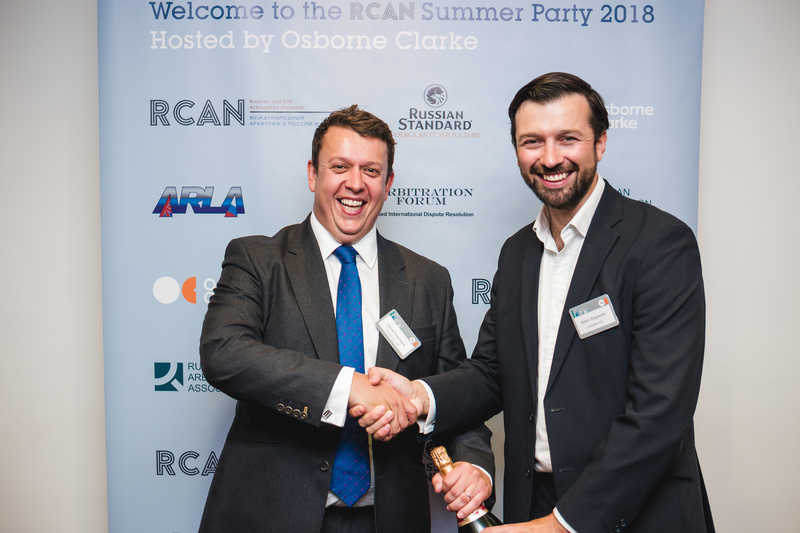 The evening’s hosts, Artem Doudko – head of Osborne Clarke’s Russia and CIS disputes practice, and Daniel Hayward – secretary of RCAN, welcomed the guests and spoke of the growth of RCAN globally and the importance of such a network to those working in the region. Thanks were given to those across a number of law firms for their dedication to growing the network, with special thanks to Greg Lazarev who is stepping down as treasurer of RCAN and being replaced by Michael Leeds from Grant Thornton. 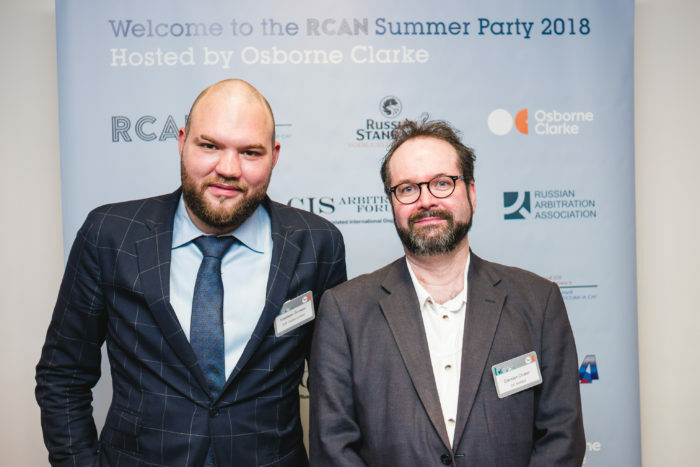 The event was attended by Alexander Molotnikov, Assistant Professor at Lomonosov Moscow State University who has co-written “Dispute Resolution in Russia: The Essentials” with Dmitry Dedov, an English-language guide covering all aspects of dispute resolution in Russia, which is due to be published later this year. 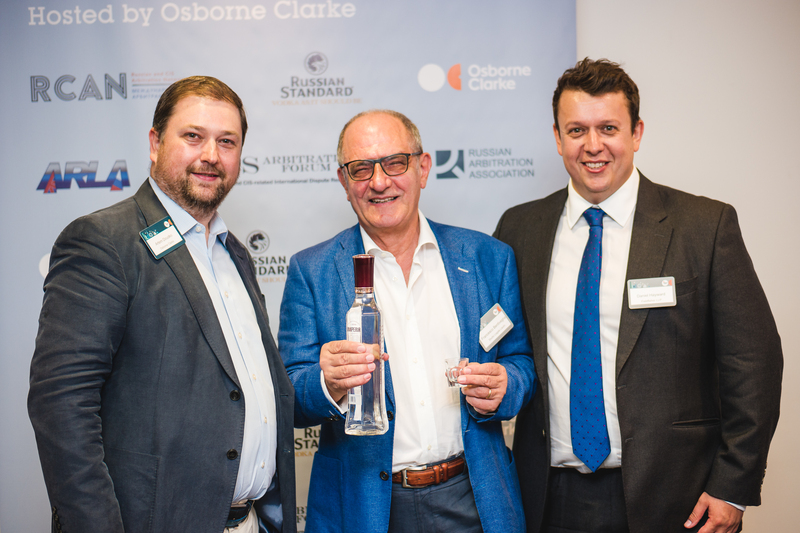 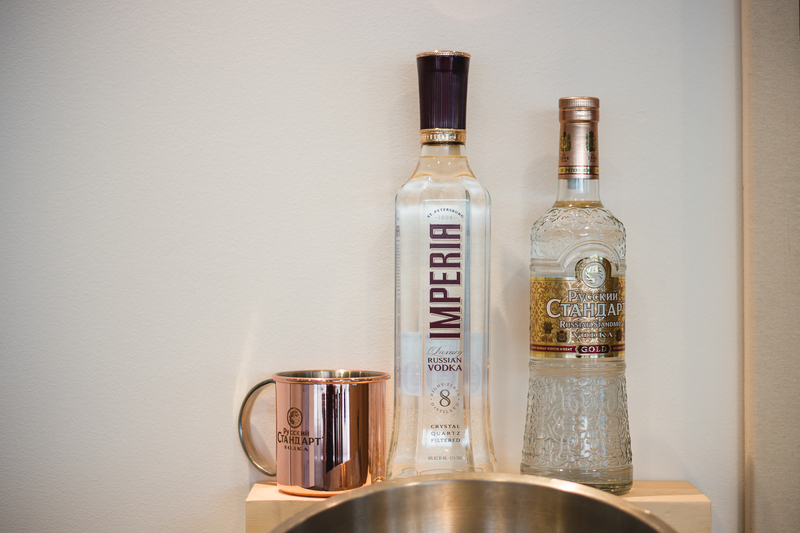 The evening rounded off with a raffle to win a bottle of Russian Standard Gold, which was won by Andrey Panov, one of the LCIA YIAG co-chairs, and Russian Standard Imperia, won by Francesco Bentivegna. 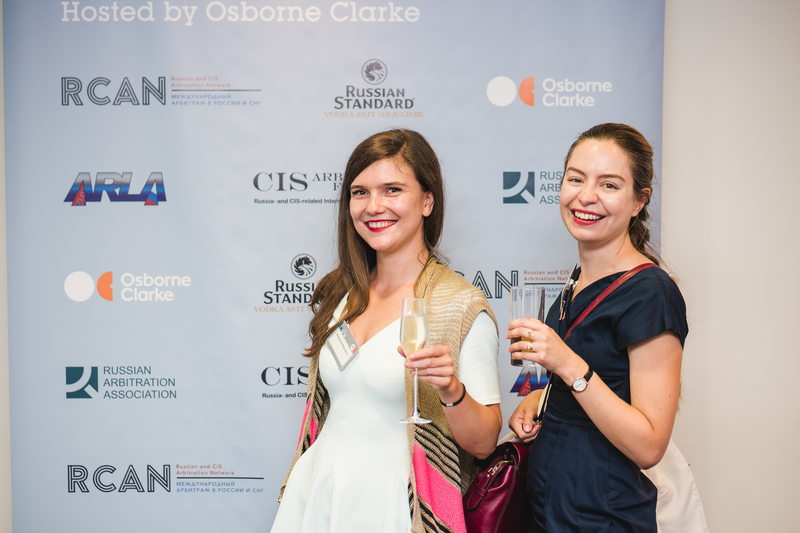 Thank you to all the guests who attended, and to ARLA, CIS Arbitration Forum and Russian Arbitration Association for their support. 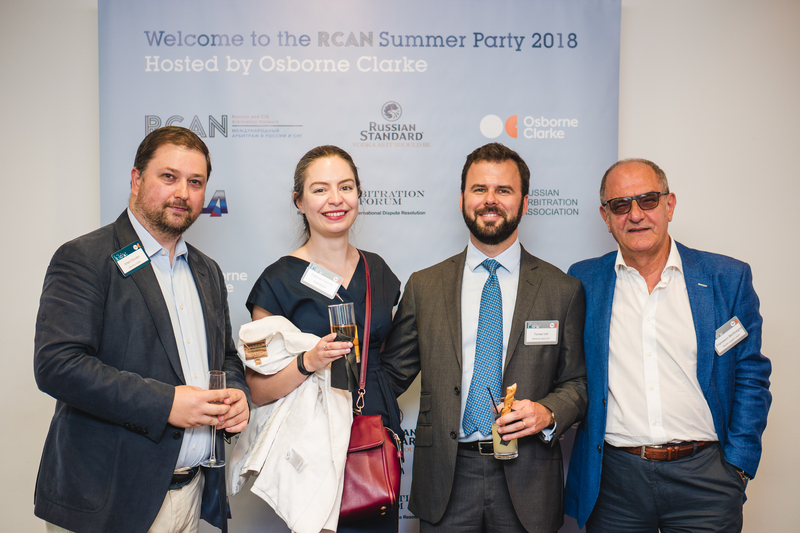 On behalf of Osborne Clarke, we wish RCAN another amazing year and are already looking forward to their future events!